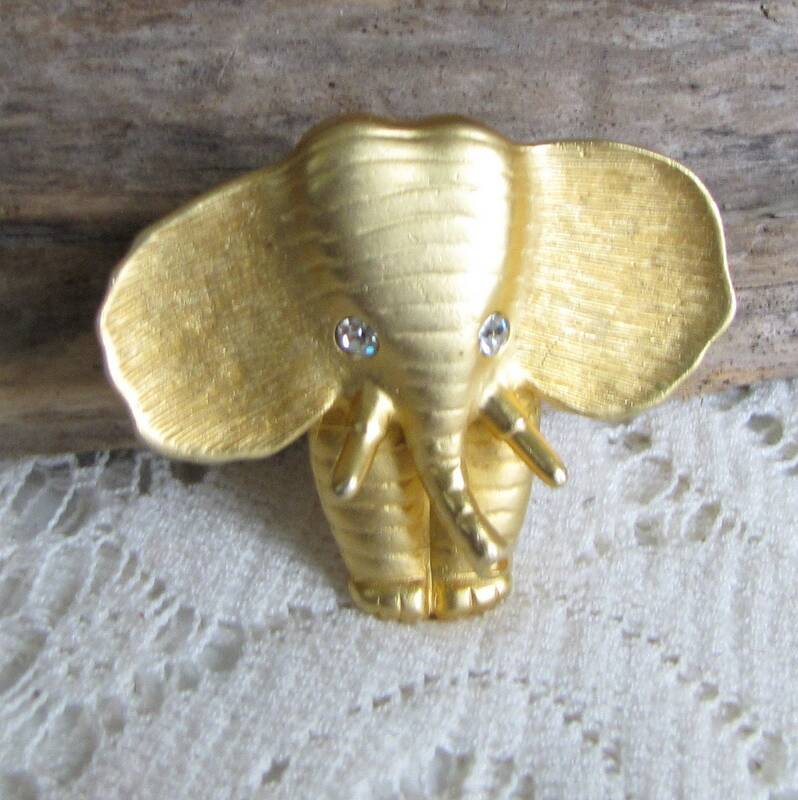 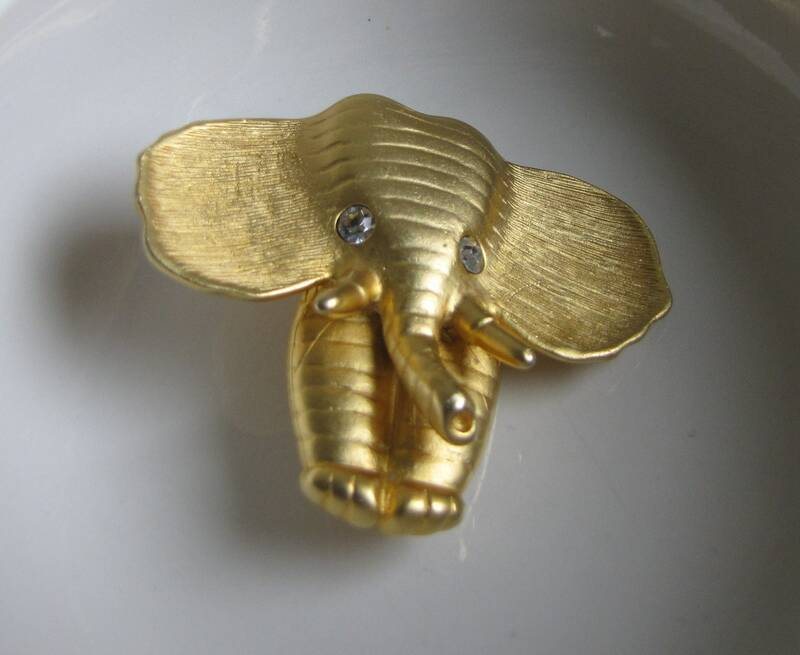 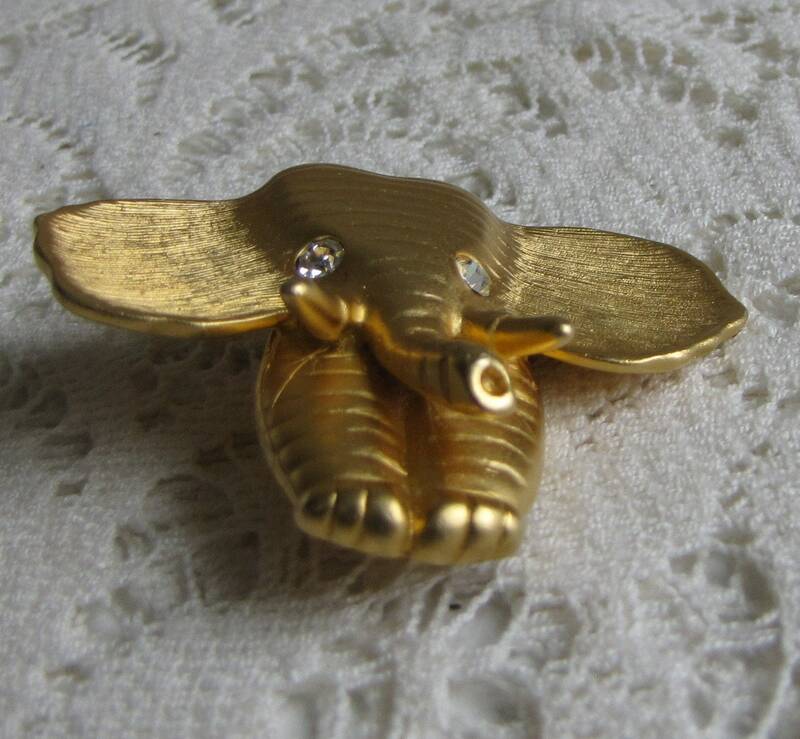 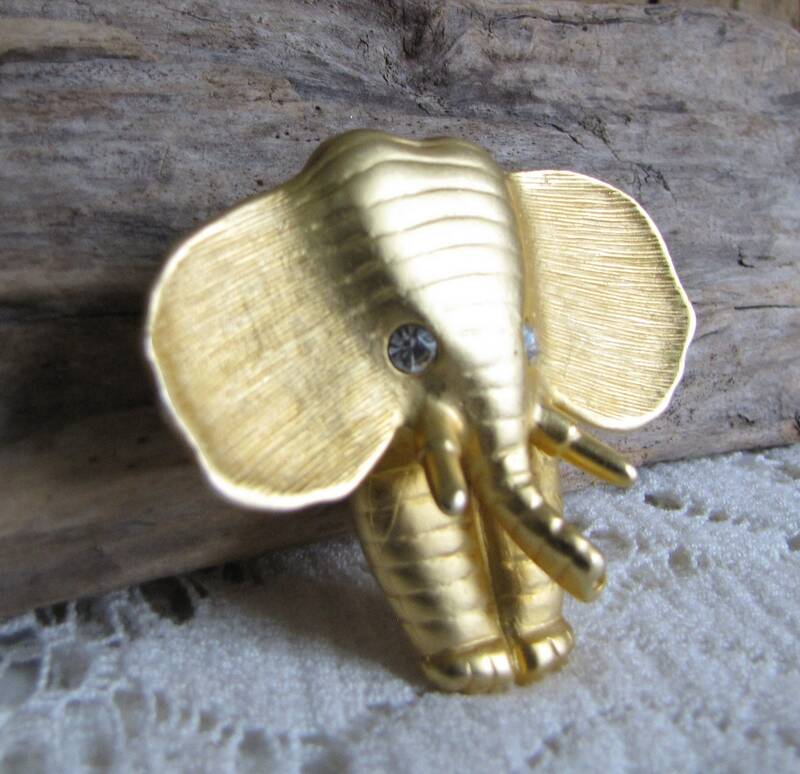 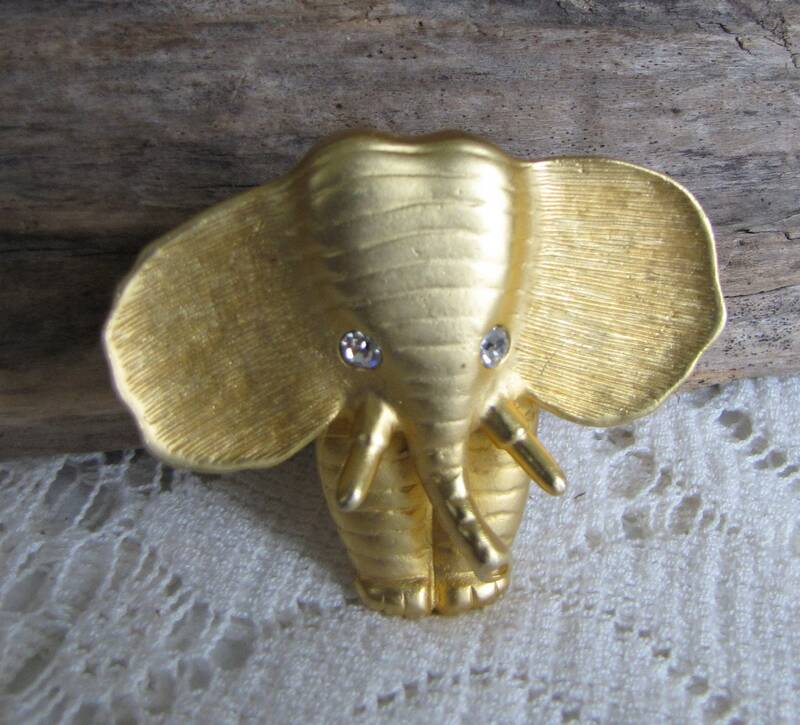 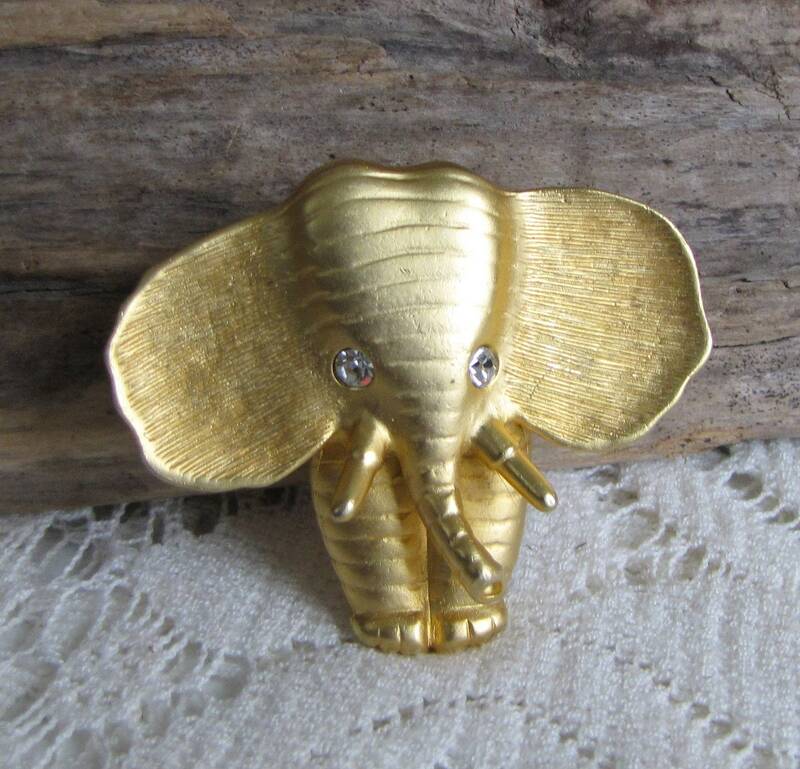 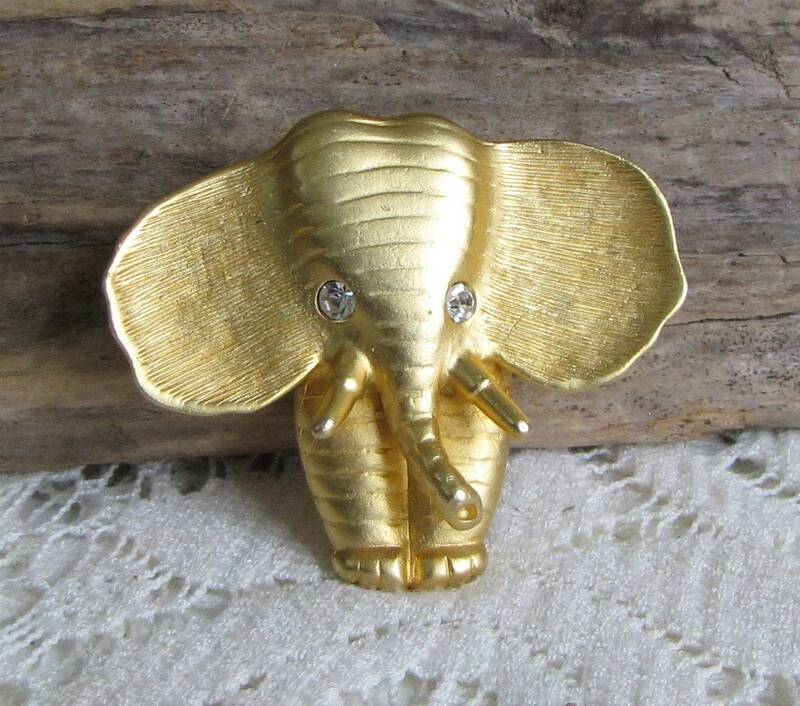 A Norma Jean Jewelry slide in gold toned base metal elephant with rhinestone eyes. 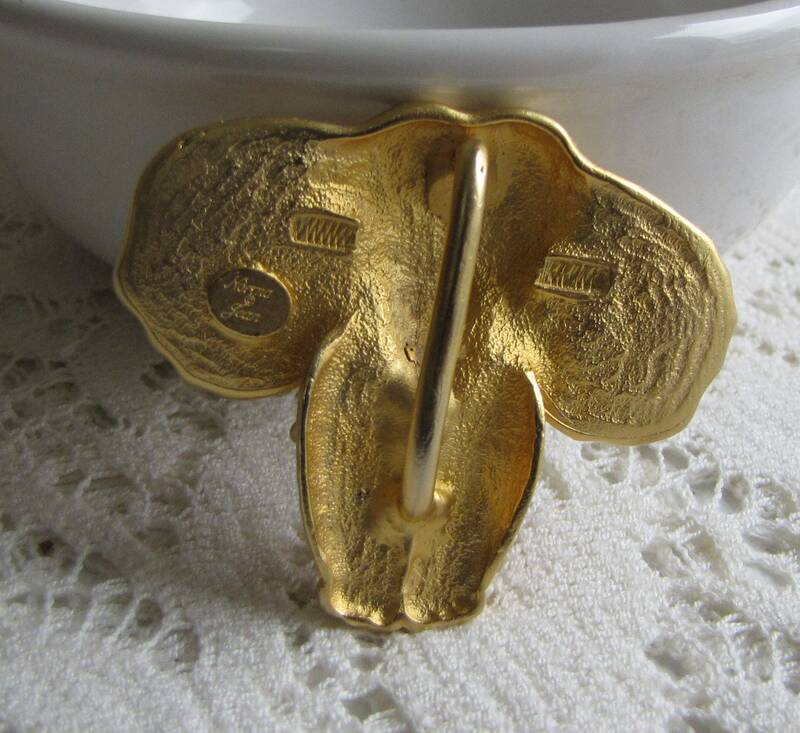 The slide is in very good vintage condition; some signs of wear. 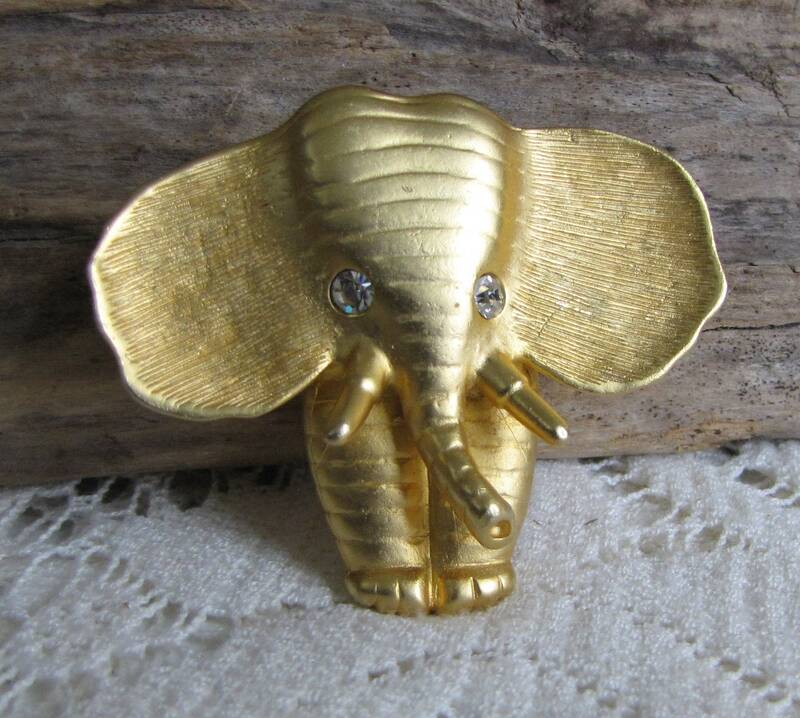 The elephant measures 2 inches tall and 2.25 inches wide. 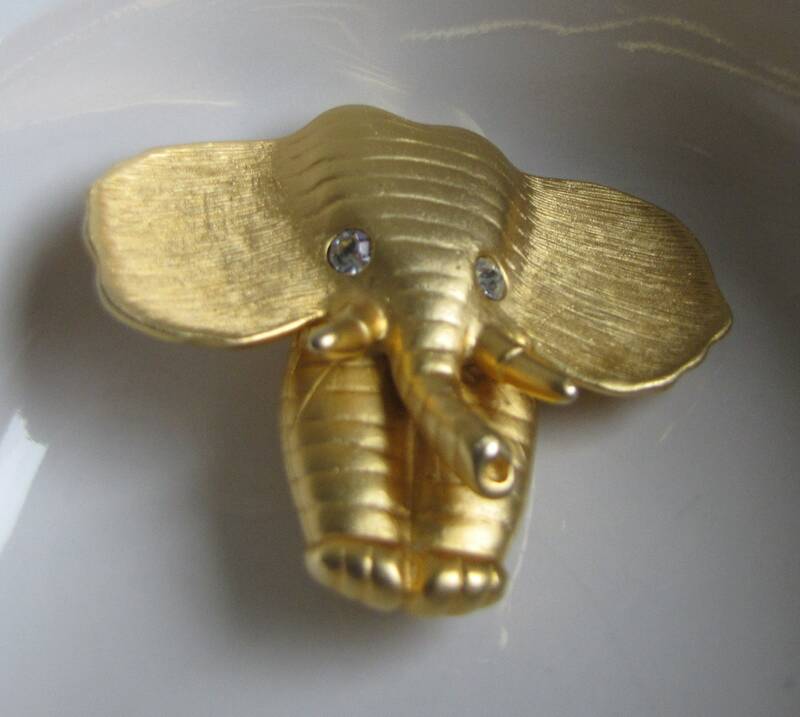 Norma Jean Jewelry was founded in 1984.